After much persuasion, Princess Roopali, ‘the beautiful one’, agrees to have a swayamvara. This is an ancient Indian ceremony in which an unmarried girl who has come of age chooses a husband from among several suitors. According to the tradition, at the end of the ceremony, the princess is required to place a marigold garland around the neck of the prince she has decided to marry. She is happy to meet with all the princes who will attend the ceremony, and are keen to be chosen by her. She explains to her parents, the king and queen that she does not, however, wish to meet anyone with a beard. Over the past few years there have been a string of armed robberies by a gang of tough-looking bearded thugs. The princess has come to dislike beards. Her father, the king, explains to her that it would be discourteous for them not to extend an invitation to any eligible prince, but he would be surprised if any of them still sported a beard. 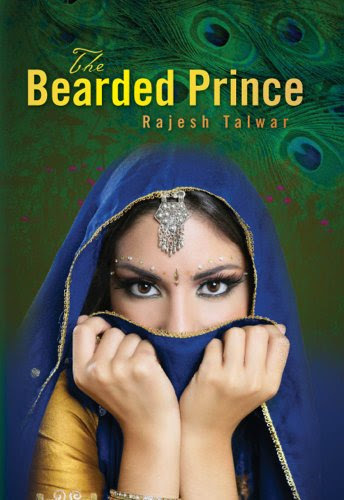 Will Princess Roopali find the prince of her dreams? A delightful tale set in Ancient India the story provides a window into an exotic culture and will appeal to children from all age groups – particularly those from the ages of five to one hundred. This is a short story of princess Roopali and her swayamvara. The author also explained in prolog about this tradition of selecting a suitor for her marriage by princess itself. The characterization is good and the readers have the dilemma until the end about who will be right for the princess and whom she will choose and why. All the characters are introduced slowly giving time to understand each prince from their behavior. The author also ensured that non-Indian readers understand the swayamvara tradition completely. I felt bored with a few details on preparations of swayamvara which I had to skip. In the middle, I felt the story is dragged to some extent. It's a pretty quick read without any twists in the story. Overall, a good read to pass time. Ps: I have received a free e-review copy from the author in exchange for an honest review and this is my unbiased opinion on the book. While working for the United Nations, the author has lived in different places, some of them difficult like Afghanistan, Liberia, and Somalia, so he can perhaps justifiably claim to have seen a bit of life. He has written fifteen odd books, some fiction, others non-fiction, the details of which together with published reviews are listed at his website www.rajeshtalwar.com and more recently at http://redroom.com/member/rajesh-talwar. His second novel on Afghanistan titled 'The Sentimental Terrorist' is available on Amazon in paperback as well as in a downloadable Kindle version.